DIYdoc is a private video sharing website. Users can upload and distribute their videos privately making them accessible only to the people they choose. To share a video, the user can take a unique URL which can then be shared via email, SMS, or any other distribution method. When registering with DIYdoc to become a member you must provide true and accurate information and accept the terms and conditions. The use of the service is restricted to persons age 12 or older. Once registered, you will be responsible for all activities occurring under your chosen account and you must keep your password secure. In case that you suspect any unauthorised use of your account or your password you agree to immediately notify DIYdoc. 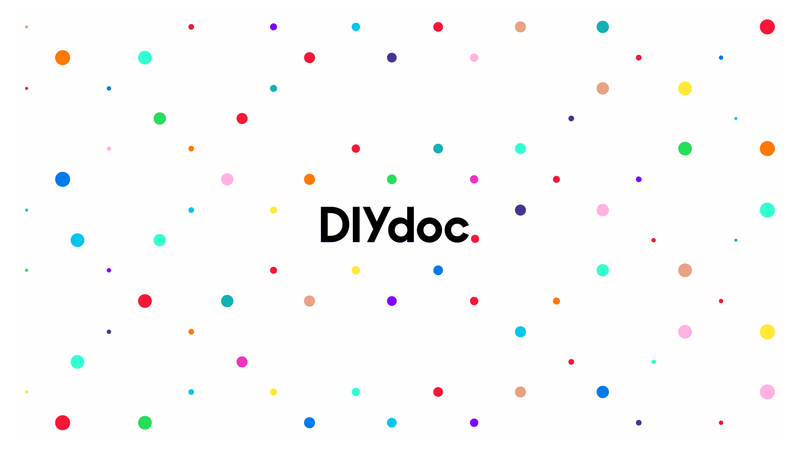 The DIYdoc website and services are available for your personal, non-commercial use only. You are not allowed to use the service for any illegal, offensive or discriminating content. It is your sole responsibility to comply with all applicable international and local rules and these terms. You shall be solely responsible for any content you submit, post, create and display on the website and the consequences of publishing them, this includes but is not limited to: videos, images, comments, profile text. You are not allowed to alter or modify any part of the website or service except for areas of the website that are explicitly provided for modification. Commercial advertisements, affiliate links, and other forms of solicitation may be removed from profiles without notice and may result in termination or suspension of the account. We reserve the right to remove any material and/or restrict, suspend, or terminate access and/or accounts that we find in our sole discretion in breach of our terms, unlawful, infringing or violating intellectual property laws. You are solely responsible for the content you upload to DIYdoc. DIYdoc is not responsible to check and/or approve any information provided by members to the site. Furthermore DIYdoc is not obliged to monitor any Members use of the service. Collect or use data from other user except for purpose to establishing contact in a reasonable way and in accordance with the terms of the service. Harass, defame, stalk, or in any other way exert pressure, threaten or harm other users visitors or any other third party. Submit material that is copyright protected or otherwise subject to third party proprietary rights unless you are the owner of such rights or have permission from their rightful owner to post the material. Submit materials that falsely express or imply that such Materials are sponsored or endorsed by DIYdoc or any other third party. Create an account using false or misleading information with the purpose to mislead other users and/or getting unlawfully access to information. Submit material that in any form contains software viruses or other malicious software such as including but not limited to, Trojan horses, worms, time bombs, cancel-bots, computer code, files or programs designed to interrupt, destroy or limit the functionality of any computer software or hardware or telecommunications equipment. Perform any other action that could be unlawful or damage, overburden or compromise the DIYdoc website. Attempt to gain unauthorized access to the DIYdoc service, other accounts, computer systems or networks through password mining or any other means. Alter in any way the DIYdoc website or service, or reverse engineer the service or part of the service. Use automated programmes or application such as but not limited to spiders and robots. Remove any copyright, trademark or other proprietary rights notices contained in or on the website and services. Publish, promote or share any material for the reason of unsolicited and/or unauthorized advertising, junk mail, pyramid schemes, chain letters, or any other material with similar purposes. Try to obstruct, interfere or limit in any way DIYdoc service or the ability for other users to use and enjoy the service. You can terminate your account at any time, without any reason by contacting the DIYdoc team. Once you have terminated your account your profile and personal information will be removed from the DIYdoc website. After you terminated your account you don’t have any right to use the DIYdoc service anymore. DIYdoc may terminate your account at anytime, without any reason. These terms remain active even after the termination of your account. You may not post, modify, distribute, or reproduce in any way any copyrighted material, trademarks, or other proprietary information belonging to others without obtaining the prior written consent of the owner of such proprietary rights. In case of the infringement of copyright rights DIYdoc may terminate your account with immediate effect. DIYdoc respects the copyright of others. If you believe your work has been copied in a way that constitutes copyright infringement or are aware of any infringing material on the Website, please contact DIYdoc and provide us with the following information: (i) an electronic or physical signature of the person authorized to act on behalf of the owner of the copyright interest; (ii) a description of the copyrighted work that you claim has been infringed; (iii) a description of where the material that you claim is infringing is located on the Web site (this could be a screenshot or the url); (iv) your address, telephone number, and email address; (v) a written statement by you that you have a good faith belief that the disputed use is not authorized by the copyright owner, its agent, or the law; (vi) a statement by you, made under penalty of perjury, that the above information in your notice is accurate and that you are the copyright owner or authorized to act on the copyright owner’s behalf. You agree that you use the DIYdoc website and services at your sole risk. DIYdoc its partners, employees, consultants and subcontractors disclaim all warranties in connection with your use of the DIYdoc website and services. DIYdoc is not responsible and therefore disclaims any responsibility or liability for the accuracy, completeness, legality or availability of any content posted on the DIYdoc website or services. DIYdoc disclaims any responsibility that the service provided will be uninterrupted, meeting your specific requirements, error-fee, the server and/or any other hardware or software that provides the DIYdoc website and services are free of virus or other harmful software. DIYdoc is not responsible for the action and/or content provided by account holders to the DIYdoc website or services. There will be links, banner and other forms of advertisements of third parties on the DIYdoc website and/or services. You acknowledge that following these links will be done at your own risk. DIYdoc disclaims any responsibility for the content provided by these third parties, be it within the DIYdoc website or external websites accessible from the DIYdoc website or services. DIYdoc disclaims any responsibility for any error, omission, interruption, deletion, defect, delay in operation or transmission, communications line failure, theft or destruction or unauthorized access to, or alteration of, any user communication. DIYdoc is not responsible for any problems or technical malfunction of any telephone network or lines, computer online systems, servers or providers, computer equipment, software, failure of any email or players due to technical problems or traffic congestion on the Internet or on any of DIYdoc services or combination thereof, including any injury or damage to users or to any person’s computer related to or resulting from participation or downloading materials. The DIYdoc website and services are provided “as-is”, “with all faults”, and “as-available”. DIYdoc expressly disclaims any warranty of fitness for a particular purpose or non-infringement. You agree to defend, indemnify and hold harmless DIYdoc, its partners, officers, directors, employees, and subcontractors from and against any and all claims, damages, obligations, losses, liabilities, costs or debt, and expenses (including but not limited to attorney’s fees) arising from your use of and access to the DIYdoc website and services; your violation of any term of these terms and conditions or third party rights, including without limitation any copyright, property, or privacy right; or any claim that was caused by content or material posted, published, distributed or shared through you or your user account. This defence and indemnification obligation will survive these terms of service and your use of the DIYdoc website or services. IN NO EVENT SHALL DIYdoc BE LIABLE TO YOU OR ANY THIRD PARTY FOR ANY INDIRECT, CONSEQUENTIAL, EXEMPLARY, INCIDENTAL, SPECIAL OR PUNITIVE DAMAGES, INCLUDING LOST PROFIT DAMAGES ARISING FROM YOUR USE OF THE SERVICES, EVEN IF DIYdoc HAS BEEN ADVISED OF THE POSSIBILITY OF SUCH DAMAGES. NOTWITHSTANDING ANYTHING TO THE CONTRARY CONTAINED HEREIN, DIYdoc’S LIABILITY TO YOU FOR ANY CAUSE WHATSOEVER AND REGARDLESS OF THE FORM OF THE ACTION, WILL AT ALL TIMES BE LIMITED TO THE AMOUNT PAID, IF ANY, BY YOU TO DIYdoc FOR THE SERVICES DURING THE TERM OF MEMBERSHIP. These terms of service together and other legal noticed published by DIYdoc constitute the entire agreement between you and DIYdoc with respect to the subject matter hereof and supersedes and replaces all prior or contemporaneous understandings or agreements, written or oral, regarding such subject matter. Any waiver of any provision of the terms of service by a party will be effective only if in writing and signed by a party. If any provision of these terms of service is deemed invalid by a court of competent jurisdiction, the invalidity of such provision shall not affect the validity of the remaining provisions of these terms of service, which shall remain in full force and effect. No waiver of any term of this these terms of service shall be deemed a further or continuing waiver of such term or any other term, and DIYdoc’s failure to assert any right or provision under these terms of service shall not constitute a waiver of such right or provision.